The Stonemasonry Workshop is limited to 15 participants. Spend a week with master stonemason Charles McRaven learning traditional techniques of building with stone including dry stack retaining walls, foundations, mortared walls & veneer, and walkways. 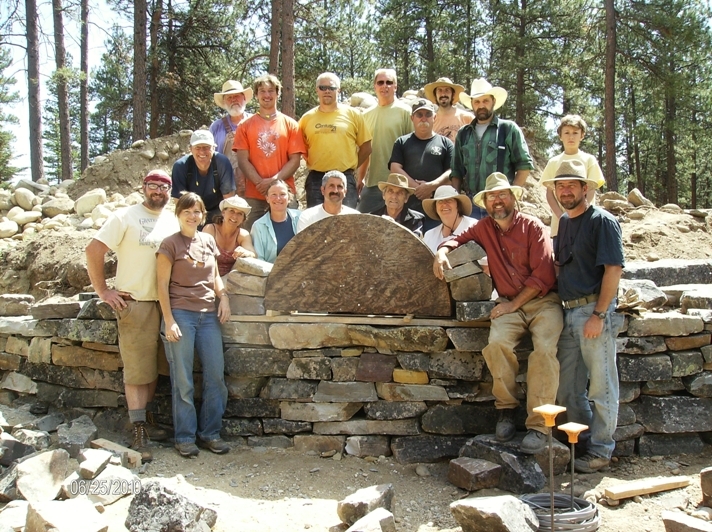 Participate in a variety of real stone projects while using hands-on, time-tested methods. Learn to choose and shape stone, select & use proper tools and move rocks safely. Develop skills that will enable you to undertake your own stone building projects. Some advanced skills (arches, buttresses, fire box) will be demonstrated.